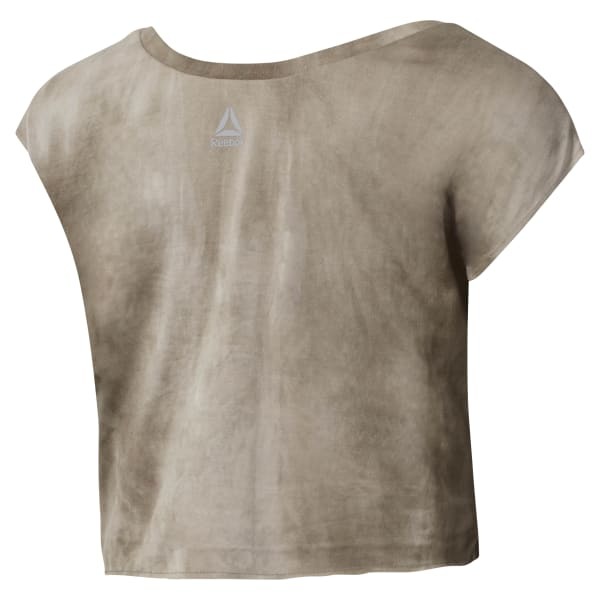 Your moves are particular to you, just like this women's uniquely spray dyed tee. It's cropped for a 'just above the waist' fit and the Speedwick technology wicks moisture. Raw edging adds a worn look to your gym outfit.